Elena Fisher began as a Spanish character, the writer of the Uncharted series said. 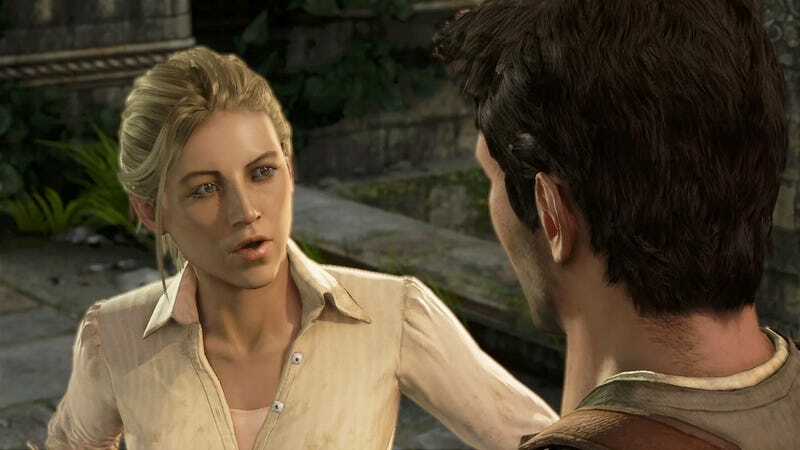 The adventure's female protagonist was originally conceived as "Elena Vargas," and originally, writer Amy Hennig wanted Claudia Black, the voice of Chloe Frazer in Uncharted 2 to voice her. Even as a character-driven narrative, Uncharted leaves a lot to its fans' imaginations, Hennig says, and quite deliberately. The long line of questioners asking for background details on the Uncharted canon was evidence of that. One fan inquired as to what Drake did between Uncharted and Uncharted 2 to ruin his romance with Fisher. "Oh, is he going to like this game," North said, without elaboration. Hennig didn't dodge the question but didn't answer it, either. Hennig said one of Uncharted's strengths as a story is the fact its players identify with the game, and that's accomplished by not defining everything, and leaving it to interpretation and implication. That said, "You're talking about a guy who's got a lot of problems," Hennig said. "He's got some issues." "So does Drake," North cracked, to laughter. Uncharted 3 releases Nov. 1.